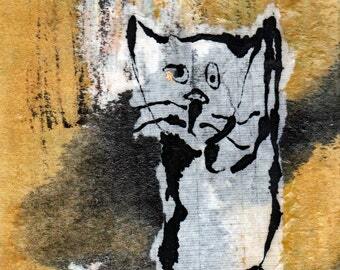 24"x8" acrylic cat painting on stretched canvas. Ready to hang. Bring some happy creatures into your home!